There aren't many software engineering companies that have been developing and building innovative and effective products since 1970. Based in Clerkenwell, London, System Simulation possess a long heritage of excellence along with a deep understanding of the potential of the web of the future. From the early days of digital galleries and the beginnings of museums on the web - to today's socially networked, interactive offerings - our projects demonstrate our unique experience. Key products include image and digital asset management systems, collections management systems (objects, archives and libraries) and content management systems, with outputs to websites, kiosks, mobile devices and publications. See the latest news on our Twitter feed. System Simulation, Clerkenwell Green, London. MuseumIndex+ is part of a new generation of systems for managing the collections of museums and galleries. It builds on over 30 years of experience meeting the needs of a series of prestigious clients, and is now directly modelled on the SPECTRUM standard with enhanced support for management workflow and for meeting Accreditation criteria. Powerful, efficient and robust - AssetIndex+ manages a wide range of digital assets including images, video, audio, text, drawings and presentations. With many practical and innovative features, it benefits from System Simulation's extensive experience in the management of complex data. ImageIndex+ is professional, high-capacity, image management. It provides multiple-access, powerful cataloguing and terminology management, structured search, tools to support efficient work processes and flexible access/delivery. ContentIndex+ is a versatile content management system. It supports the creation, editing, interlinking and version control of text, images and multimedia for publishing to websites, kiosks, mobile devices, DVD and print. Sir John Soane's Museum uses the full suite of CollectionsIndex+ modules - Archive, Books, Object, and Asset - to manage their diverse collection of art, antiquities, architectural drawings, and image assets. Selected records are published to a bespoke Collection Online website, built by System Simulation and styled to match the design of the Museum's existing public site. 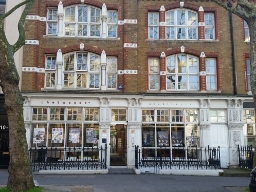 The Charles Dickens Museum approached System Simulation with their needs for a collections management system and we provided them with MuseumIndex+. 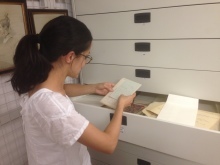 Our CollectionsOnline also provides access to the collections for scholars, researchers, members of the public, staff, and volunteers. 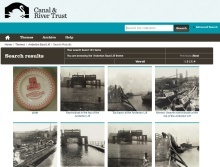 The Canal & River Trust replaced an existing CALM system with CollectionsIndex+, to manage their collections of objects and archives jointly in a single database. They also export selected records to a CollectionsOnline website built and hosted by System Simulation. Broadening access to 150,000 images held by the Medical Photographic Library (MPL) was a core aim for the Wellcome Library. Our solution provided an integrated system based on ImageIndex+ for cataloguing and digitising the entire collection, providing picture library management with image delivery and transaction management over the internet. System Simulation offers an intelligent hosting solution in a package of hosting services. System Simulation offers highly flexible design and creative production services across the range of its technical applications. These services include web and interactive user interface design, digital content production and usability and accessibility services (both appraisal and implementation). Our design work is characterised by its disciplined approach and its arresting results. Good terminology management can make the difference between an efficient database resource and a lot of wasted effort. As well as providing intelligent tools for managing terminology, thesauri and ontology systems, System Simulation can offer valuable advice about structuring terminology systems and using them to greatest effect.